Exploitation is a dominant cause of global biodiversity declines, rivaling habitat degradation, climate change, and habitat loss. Exploitation can occur in multiple forms, including the regulated legal use of natural resources to benefit humans (e.g., sustainable harvest of fisheries), unregulated but sustainable use (e.g., sustainable forest management), and unsustainable illegal use (e.g., endangered species poaching), among others. Illegal exploitation is currently a major foreign policy issue, with policies often focused on reducing risks to people and the environment. Wildlife poaching and trafficking threatens the security and prosperity of people, poor inspection processes of at border crossings allow the spread of zoonotic diseases, park rangers are being killed, and rebel militias can be players in global wildlife markets. Reductions in biodiversity or the population sizes of species can have other substantial negative human health impacts unrelated to these risks, including loss of potential sources of pharmaceuticals, experimental models for studying disease, crop pollination, and both micro- and macronutrients for humans lacking alternative sources of protein. Applied research on this topic involves interdisciplinary theory, methods and practices. It is policy-relevant, field-based, and global in nature. All of this inquiry involves cooperation with state wildlife agencies, nongovernmental conservation organizations, international organizations, and federal agencies. Most recently, my research on wildlife poaching and trafficking has been applied to science diplomacy through my work in the Office of the Geographer and Global Issues at the United States Department of State. Using conservation criminology to prevent wildlife crime. Gore, M. L. (2017). Pathfinder Magazine of the National Geospatial-Intelligence Agency 14(4): 14-15. Gibbs, C., Gore, M. L., Hamm, J., Rivers III, L., and A. Zwickle. (2016). In The Routledge Companion to Criminological Theory and Concepts, Brisman, A., Eamonn, C. and N. South, eds. London and New York: Routledge. Local perspectives on environmental security and its influence on illegal biodiversity exploitation. Gore, M. L., Lute, M. L., Ratsimbazafy, J. H., and A. Rajaonson. (2016). PLoSONE. Culturally specific anti-poaching interventions: extending a cultural theory of risk to poaching motivations and deterrents. Rizzolo, J. B., and M. L. Gore. (2016). Crime, Law and Social Change. Public perceptions of poaching risks in a biodiversity hotspot: implications for wildlife trafficking interventions. Gore, M. L., Ratsimbazafy, J. H., Rajaonson, A., Lewis, A., and J. S. Kahler. (2016). Journal of Trafficking, Organized Crime and Security. Local perceptions of risk associated with poaching of wildlife implicated in human-wildlife conflicts in Namibia. Kahler, J. S., and M. L. Gore. (2015). Biological Conservation, 189:49-58. Ratsimbazafy, J., Gore, M. L, and L.J. Rakotoniaina. (2013). Nalla, M. K. and Newman, G. R. eds. Community Policing in Indigenous Communities. CRC Press, Boca Raton, Florida. pp. 31-39. Rethinking corruption in conservation crime: insights from Madagascar. Gore, M. L., Ratsimbazafy, J., and M. L. Lute. (2013). Conservation Letters, DOI: 10.1111/conl.12032. Poaching risks in a community-based natural resource system. Kahler, J. S., Roloff, G., and M. L. Gore. (2013). Conservation Biology, 27(1): 177-186. The science of conservation crime. Gore, M. L. (2011). Conservation Biology, 25 (4): 659-661. Introducing Conservation criminology: towards interdisciplinary scholarship on environmental crimes and risks. Gibbs, C.E., Gore, M. L., McGarrell, E.F., and L. Rivers. (2010). British Journal of Criminology, 50: 124-144. Lute, M.L. and M.L. Gore. (2018). Considerations for encouraging coexistence. Frank. B., Glickman, J.A., and S. Marchini (Eds.). Human wildlife interactions: Turning conflict into coexistence. Cambridge University Press, UK. Lute, M.L. and M. L. Gore. (2018). Challenging the false dichotomy of us vs. them: Heterogeneity in stakeholder identities regarding wolves. Hovardas, T. (Ed.). Large carnivore conservation and management: Human dimensions and governance. Taylor & Francis, UK. Kahler, J. S., and M. L. Gore. (2015). Local perceptions of risk associated with poaching of wildlife implicated in human-wildlife conflicts in Namibia. Biological Conservation, 189:49-58. Lute, M.L., Bump, A., and M. L. Gore (2014). 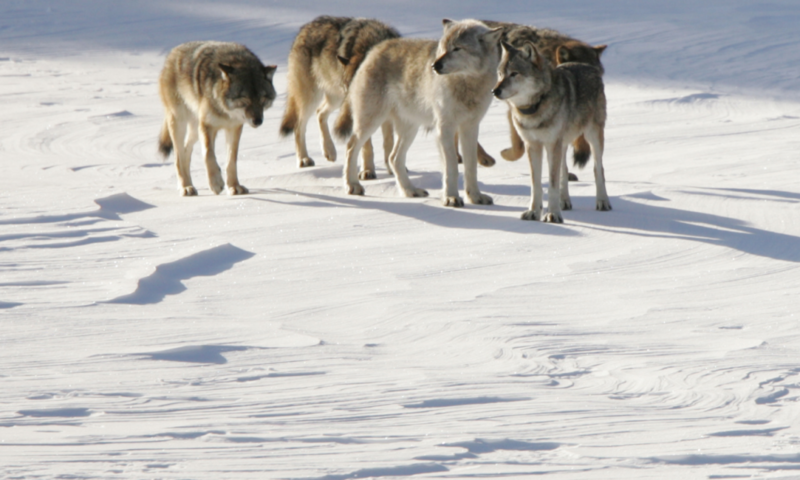 Identity-driven differences in stakeholder concerns about hunting wolves. PLoS ONE. DOI: 10.1371/journal.pone.0114460. Lute, M. L. and M. L. Gore. (2014). Exploring knowledge and power in Michigan wolf management. Journal of Wildlife Management, 78(6): 1060-1068. Gore, M. L. and J. S. Kahler (2012). Gendered risk perceptions associated with human wildlife conflict: implications for participatory conservation. PLoSONE 7(3): e32901. Gore, M. L., Knuth, B. A., Scherer, C. W., and P.D. Curtis. (2008). Evaluating a conservation investment designed to reduce human-wildlife conflict. Conservation Letters, 1(3): 136-145. It is undisputed that human–wildlife conflict poses conservation challenges; it can threaten populations of species and people that interact with them. As human and wildlife populations increasingly overlap, so too can risks to and from wildlife. There is a desire to minimize risks associated with human–wildlife conflict. Many stakeholders rely on outreach interventions to prevent or reduce human–wildlife conflict. Interventions can be appealing because they are not constrained by culture or ecosystem; they transcend the context of human–wildlife conflict, as well as the political, economic, and social systems within which human–wildlife conflict occurs. 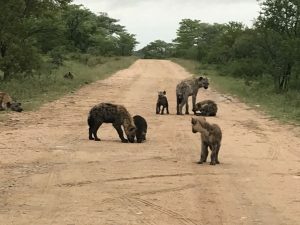 Risk perception is salient to human–wildlife conflict and may influence support for wildlife management, behavior toward wildlife, and receptivity to wildlife messages. Increased risk perception has been linked to increased risk-reducing behavior. Risk perception is a judgment; this social psychological concept is complementary to risk assessment in that risk perception is relevant for understanding individuals’ attitudes about risk-related policy as well as behavior toward policy (e.g., support or opposition). It is common for environmental risk perceptions and assessments to not mirror one another. For example, it is perceptually easy to underestimate risks presented by policy advocates and overestimate risks presented by people faced with dealing with the consequences. Additionally, many people anchor their risk perceptions on initial risk estimates. Because of these and other reasons, risk perception affects regulatory design and compliance. Risk and decision science is valuable for understanding local people’s perception of risk, their associated behavior (or lack thereof), as well as the social and physical space within which risks occur. These studies improve how we address emotional, perceptual, and behavioral components of wildlife-related risk perception using tools and techniques from, for example, risk communication. Gore, M. L., Killion, A., and G. Roloff. (2018). Interdisciplinary intelligence mapping to reduce illegal logging in Madagascar’s eastern rainforests. Moreto, W. (Ed.). Temple University Press. Gore, M. L., Lute, M. L., Ratsimbazafy, J. H., and A. Rajaonson. (2016). Local perspectives on environmental security and its influence on illegal biodiversity exploitation. PLoSONE. DOI: 10.1371/journal.pone.0150337. Rizzolo, J. B., and M. L. Gore. (2016). Culturally specific anti-poaching interventions: extending a cultural theory of risk to poaching motivations and deterrents. Crime, Law and Social Change. Gore, M. L., Ratsimbazafy, J. H., Rajaonson, A., Lewis, A., and J. S. Kahler. (2016). Publi perceptions of poaching risks in a biodiversity hotspot: implications for wildlife trafficking interventions. Journal of Trafficking, Organized Crime and Security. Kahler, J. S., Roloff, G., and M. L. Gore. (2013). Poaching risks in a community-based natural resource system. Conservation Biology, 27(1): 177-186. Gore, M. L., Knuth, B. A., Curtis, P. D., and J. E. Shanahan. (2007). Factors influencing risk perception associated with human-black bear conflict. Human Dimensions of Wildlife, 12(2): 133-136. Gore, M. L., Knuth, B. A., Curtis, P. D., and J. E. Shanahan. (2007). Campground manager and user perceptions of risk associated with human-black bear conflict: implications for communication. Human Dimensions of Wildlife, 12(1): 31-43. Gore, M. L., Knuth, B. A., Curtis, P. D., and J. E. Shanahan. (2006). Stakeholder perceptions of risk associated with human–black bear conflicts in New York’s Adirondack Park campgrounds: implications for theory and practice. Wildlife Society Bulletin, 34 (1): 36-43. Gore, M.L., and J. S. Kahler. (2015). Using visual scales in researching global human dimensions of wildlife. Human Dimensions of Wildlife, 20(2). Gore, M. L., Nelson, M.P., Vucetich, J. A., Smith, A. M., and M. Clark. (2011). Exploring the ethical basis for conservation policy: the case of inbred wolves on Isle Royale, USA. Conservation Letters, 4(5): 394-401. One reason community-based wildlife conservation and management are widely applied is that it can enable citizen participation in natural resource and conservation decisions. Citizens can be involved in making, understanding, implementing, or evaluating decisions for improved outcomes. The overall conservation climate is enhanced through improved relationships among relevant stakeholders and increased capacity of different stakeholders to contribute to conservation in practice. Challenges to citizen participation abound and can include lack of time and money, resistance among decision-makers, complexity of weighting the input of different opinions, and poor relationships with certain stakeholders. Value typologies from psychology compliment social norm theories and attitude frameworks describing different stakeholders’ motivations, satisfaction, and participation in conservation action. Research along this vein includes theories and methods that contribute to enhanced public participation, data collection methodologies that maximize participation of distinct groups, and interdisciplinary approaches that synergize public and expert opinions.